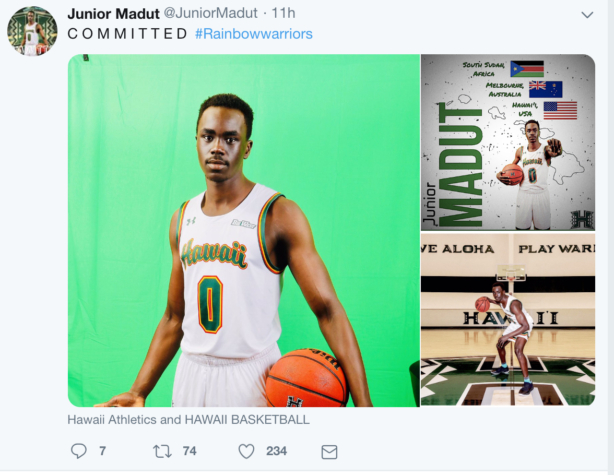 Junior Madut, a 6-foot-5 guard from Sydney, Australia, is committed to sign with the University of Hawai’i basketball team. Madut played the past two seasons at Eastern Florida State College, helping lead the Titans to the quarterfinals of the National Junior College (NJCAA) Division I Championship Tournament. He started all 36 games during the 2018-19 season, averaging 9.1 points, 6.3 rebounds, 2.4 assists and 1.0 steals per game. Madut should help fill the void of departing guards for the Rainbow Warriors. Brocke Stepteau and Sheriff Drammeh completed their eligibility this past season; Leland Green will transfer to Humboldt State; Brandon Thomas has also received clearance to transfer out of UH. The signing period for basketball recruits begins on April 17 and runs through May 15. Questionable choice. Nine points a game? We needs scoring guard if this guy plays the 2. Going into year 5 is this all we can get ?? Where’s all the connections to the top jc where Bobbit came from? Where are all the hook ups with top jc players ? Disappointed with this staff. They have trouble recruiting for the past 4 years. The natives are getting restless Ganot. Yup not the type of recruit that excites the fanbase. JC guys should be immediate impact guys. Welcome! I’m guessing he’s going to split playing time with Jessiya Villa? as long as he wasn’t the top priority…stats aren’t good but looks better than some previous recruits…we’ll need a lot more than just madut! ^^^ I will lean to agree with this. I have to think that this is the first of the signings and more (better) is still to come. 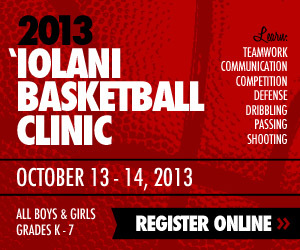 Lets go Bows!